Behringer’s gear announcements this year stuck mostly to safe bets – clones of a whole lot of Roland gear (SH-101, TR-808, vocoder, modular) and the ARP Odyssey – and most of those the company had revealed in some form long before the NAMM show. More on that separately. But that meant the company hadn’t done what they did with semi-modular Neutron, which was make something distinctive. All of that might have continued to cement the association of Behringer with clones – but then we get this. 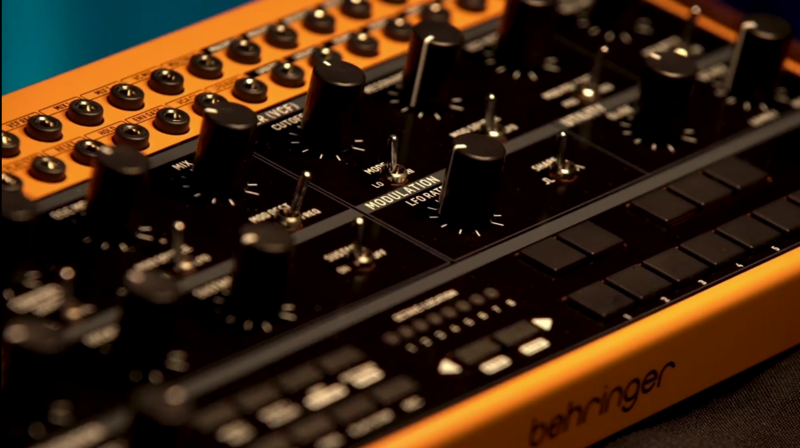 Behringer Crave is a new semi-modular synth. It takes some of those components that made the retro remakes possible, but puts them in a new form – and with the price really, really low. So the Crave has the oscillator from the Sequential Prophet 5 (and Neutron), a Moog ladder filter, a big patch bay making it semi-modular, and a full-featured step sequencer / arpeggiator. Each of these has been seen in some form on other products, which demonstrates Behringer is ready to aggressively combine those bits into new products to suit the market. And then there’s the price – Crave is US$199 (149 EUR). It looks like you can patch – well, more or less everything. No specifics on those patch points, but there is mention of patching into Tempo, Hold, Start, Reset for the sequencer. Of course, you can compare this to the KORG volca modular offering at the same price – and maybe wish that KORG had finally abandoned their existing form factor, which would have allowed them (for instance) to use larger cables instead of tiny header pin-sized cables. KORG’s offering is definitely more left-field, with Buchla/West Coast-inspired synthesis. And it runs out battery power. But you have to want that more esoteric sound approach. Or for a little more money, you can get the new Arturia MicroFreak, which also has semi-modular routings (delivered as a matrix instead of with cables), and a step sequencer, but a playable keyboard in addition – and some unique sound features. We’re hearing street price of US$299, so a hundred bucks more than the Behringer. In other words, this year has already been really good for anyone wanting an advanced synth that costs under $300. And for features for money, the Crave is very aggressive, indeed. No product website or ship date yet.